Pit Stops are open from 6:30-9:00am on Bike to Work Day, Monday, June 17th. They are located all over the city and provide a place for people to stop and enjoy the company of their fellow cyclists on the way to work. Some pit stops will have a mechanic to help with minor repairs and adjustments, and Bike Week Winnipeg or the Pit Stop sponsor may provide light refreshments (while supplies last). As you travel play RIDE AND GO SEEK: collect signatures at all the pit stops you visit. If you visit 8 you’ll be entered to win a $250 gift certificate from our good friends at the Winnipeg Repair Education and Cycling Hub which you can use toward a bike, parts or repairs. Here’s the link to the form: Bike Week Ride and Go Seek. Check out our map of all the locations where pit-stops are located. If you are interested in hosting a Pit Stop, sign up at this link. 17 Wing Winnipeg – Yellow Ribbon Trail at Whytewold Road – Music, Giveaways, cycle selfie! 20/20 Eye Care – Northeast Corner of Bishop Grandin & Dakota Street – Music, refreshments, draw for sunglasses and win bread for a year from COBS Bread! Bourkevale Community Centre – Bourkevale Community Centre – Games, prizes (bike swag, t-shirts, hats, coupons), cookies and snacks! Chaebon Ice Cream and IBEX Payroll – 390 Osborne Street – Enter a draw to win a $25 gift card! Optional donation to Ready Set Swim Foundation. Exchange District BIZ – Waterfront & Bannatyne – Prizes, music, bike repair and massages! Laura Secord School, Urban Systems, Verde Juice Bar – 960 Wolseley Avenue between Ruby & Lenore – Smoothies from Verde Juice Bar, baked goods from Tall Grass Bakery! Lifemark Nature Parkway – Southwest corner of Kenaston & Sterling Lyon (just in front of IKEA) – Massage gift cards! n8 Chiropractic – 917 St. Mary’s Road – Free spinal exam gift card! Red River College Sustainability Department – North side of Omand’s Creek Pedestrian Bridge – Music, cinnamon buns, fruit, water, and coffee! Sport Manitoba – 145 Pacific Ave – Snacks, music, fun activities by Fit Kids Healthy Kids, free facility passes and swag! 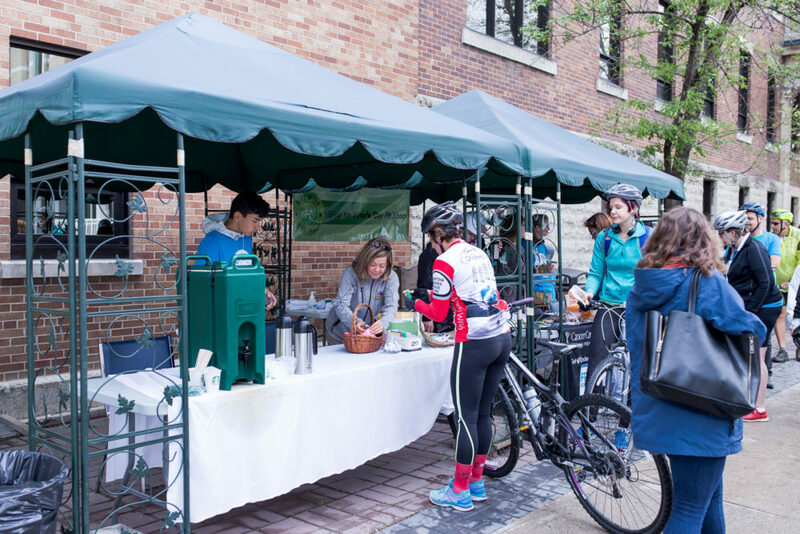 UMCYCLE / Office of Sustainability – UMCYCLE Kiosk – Music, food and prizes! UMCYCLE / Office of Sustainability – Health Sciences Centre in front of the Brodie Centre – Music, snacks, water and prizes! Wawanesa Mutual Insurance Company – Rear parking lot at Fort & Broadway – Swag including sunglasses, water bottles and t-shirts! Winnipeg Roller Derby – Northbound Main at Stradbrook under the bridge – Enter to win 2 tickets to WRDL’s Travel Teams Double Header, 2 action packed games taking place on Saturday July 20 2019! WSP & White Pine Bicycle Co. – Assiniboine Avenue, in front of the Dog Park, at Garry Street – Prize draw!